There are many popular books available dealing with local areas such as “Old Partick” but to date Jordanhill has not featured. Perhaps it is because it is a relatively “young” area, with development having started just over a hundred years ago. However there have been many changes over the years and many buildings have disappeared. 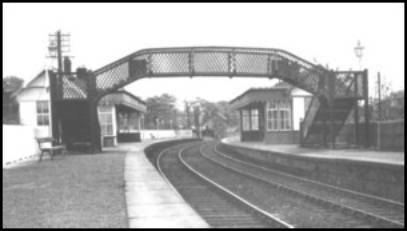 The following selection of photographs is my attempt to produce a web edition of “Old Jordanhill”. The photographs are listed by address alphabetically. I acquired some of these photographs from local residents in connection with an exhibition on Old Jordanhill which I produced for Jordanhill Parish Church in 1980 to celebrate the 75th Anniversary of the present church building. Others I have taken myself. 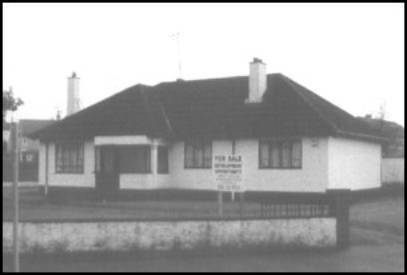 This bungalow stood at the corner of Abbey Drive and Crow Road. Retirement flats now occupy the site. 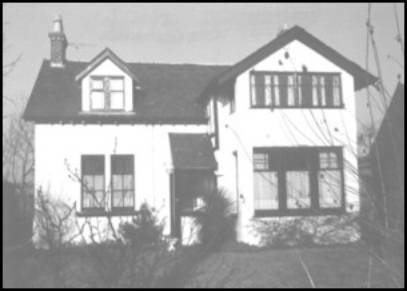 Before the bungalow was built, the site was occupied by the Jordanhill Putting Green, which charged a penny a round. 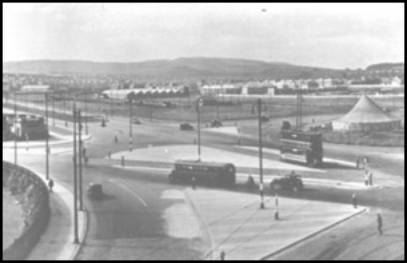 The green was destroyed in 1939, at the start of the second World War, when the Fire Service built a.huge concrete water tank on the site. 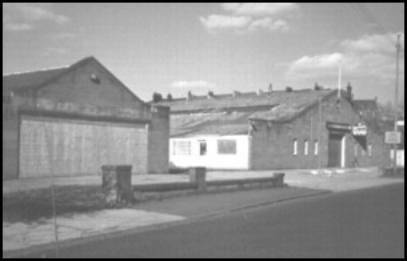 The garage premises of Henry Brothers stood on the site of the present retirement flats. 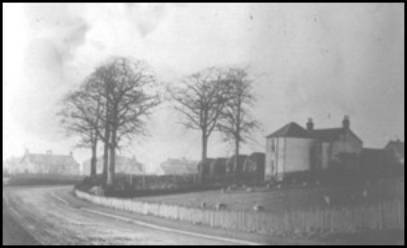 Taken in the 1930’s before the Knightswood Housing development had started. The marquee was used for evangelical purposes. The fine building housing the public toilets can be seen on the extreme left. This photograph was taken from the high flats at Anniesland and shows the roadworks for the new Crow Road Improvement in the early 1980’s. 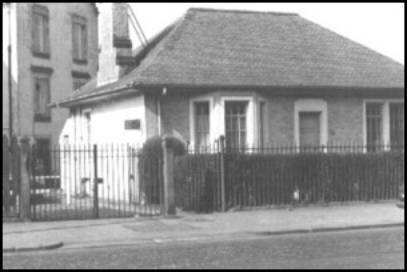 This bungalow stood at the corner of Anniesland Road and Windyedge Place. It was built in 1954 by John Lawrence and was a “world first” constructed using Bellrock panels which had been patented by John Lawrence Owned by an eccentric millionaire Peter Fox it was not well maintained and in the light of current design standards was no longer considered habitable. It was demolished in 2001 and is replaced by two modern villas. 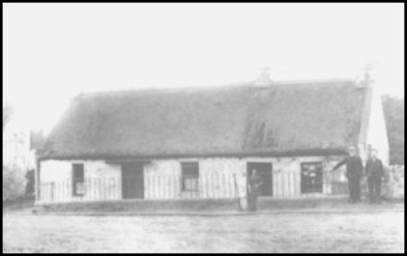 This old cottage stood at the corner of Orleans Avenue and Manor Road. The present houses on the north side of Manor Road can be seen in the background. It dates from 1641 and was demolished in 1905. The house which currently occupies the site has carved stones clearly visible in the east gable wall recording these two dates. The farm was located on the north side of Mitre Road, west of Orleans Avenue. A section of the original steading wall can still be seen at 38 Mitre Road.. A date stone for 1829, saved from the old building when it was demolished, is incorporated into the boundary wall between two houses directly opposite the site, at numbers 39 and 41. Taken in the 1890’s. The men are standing in the gap which led to what is now Woodend Drive and the sign on the extreme right edge advertises the services for All Saints Church. 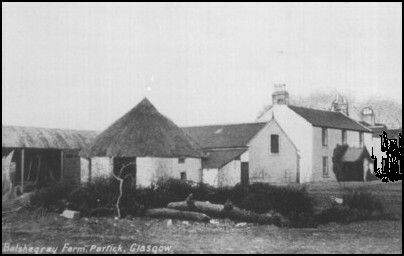 The high building on the left was the Woodend Brickworks and the men are standing beside the old smithy. The next photograph is one of a pair presumably taken on the dame day. 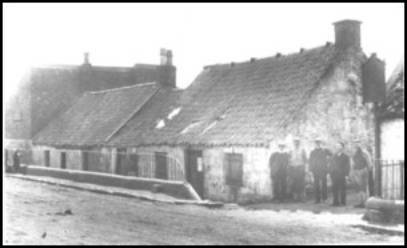 This cottage stood to the right of the group of buildings shown in the photograph above. The two men proudly standing on the right are also to be seen in the photo above. Whittingehame Drive is directly opposite. 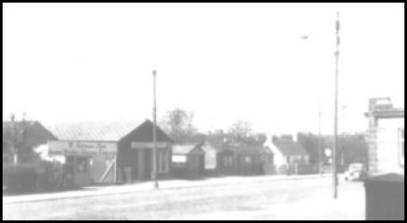 Taken in the 1930’s, these buildings belonged to small tradesmen and many of the huts were still on site in the 1960’s. The site is now part of the Arnold Clark forecourt. 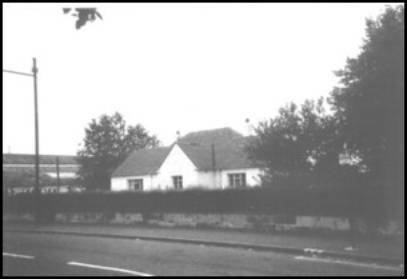 The single storey building on the extreme right is the bank which stood at the corner of Crow Road and Churchhill Drive. 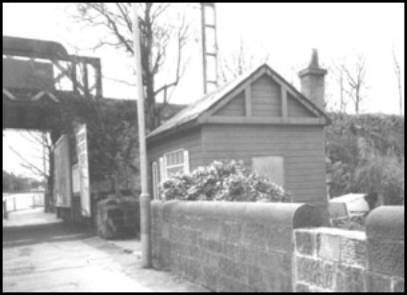 This wooden hut stood close to the railway embankment on the west side of Crow Road and was demolished during the Crow Road Improvement works in the early 1980’s. It had operated latterly as a flower shop and was painted bright red and green. 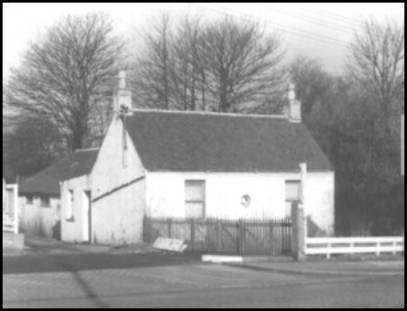 This little cottage stood on the site of what is now the Petrol Station and was demolished in the 1980’s during the Crow Road Improvement works. It is not thought that this was the original lodge referred to in the item above based on different building shapes on successive Ordnance Survey maps.. 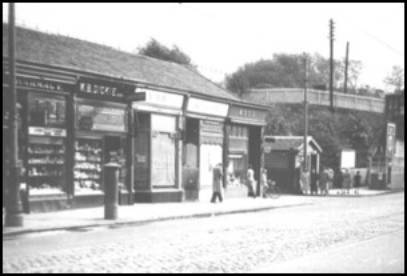 This photograph was taken in the 1960’s and shows Dickie the chemist (taken over by Hogarth and now part of Pablo’s), Hay the grocer, Walter Hubbard the bakers, and Wood the confectioner. 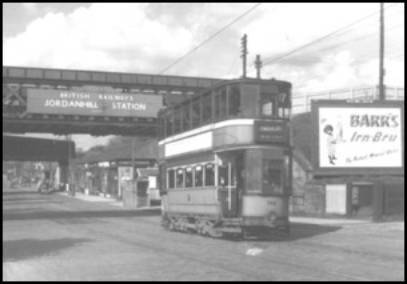 The small wooden hut at the side of the ramp to the station was a newsagents which also stocked the textbooks for Jordanhill College Students. It was owned by two sisters, the Misses Coutts. 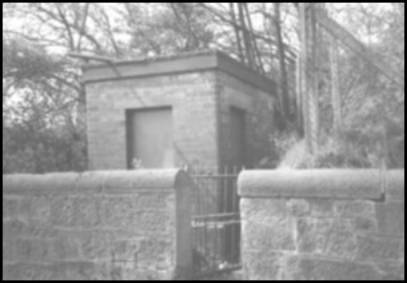 A Glasgow Corporation Transport “private” public convenience for the use of tram drivers stood next to the old lodge shown above. The gap in the wall close to Southbrae Drive has been closed but can still be made out. 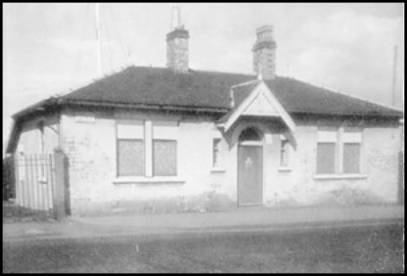 Groundsman’s house, formerly stood beside the High School pavilion, demolished during the Crow Road Improvement works. Warlaby Cottage, 697 Crow Road. 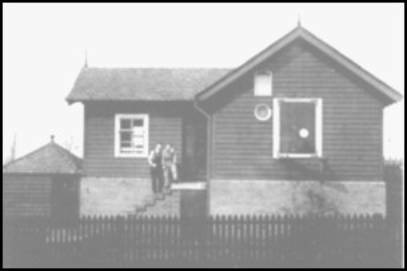 This little cottage stood on the west edge of Crow Road immediately opposite Ancaster Drive. It was demolished in connection with the Crow Road Improvement Scheme. This photograph was taken just prior to demolition. 1908, Compass Observatory built by Lord Kelvin for testing and calibrating compasses. The site is now occupied by houses 58 – 72 Munro Road. 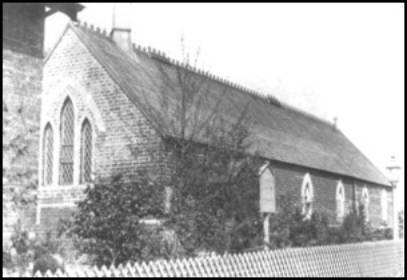 The original All Saints Church around 1900. The track which later became Woodend Drive is immediately in front of the fence, note the street light at the extreme right. 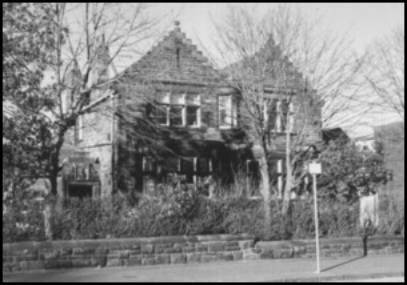 In 1904 the current Church was built in front of this building and Woodend Drive was laid out futher south. 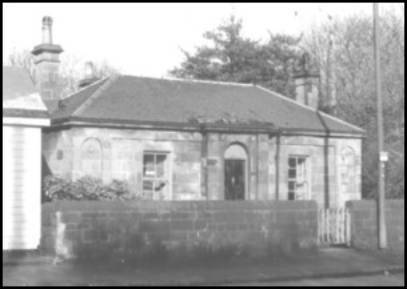 The building shown here is now the church hall. 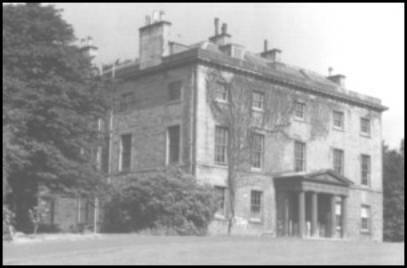 The original Jordanhill House which was the home of the Smiths of Jordanhill. The Smiths sold the estate in 1911 for the establishment of the Training College. This view shows the east elevation. The building was demolished in 1961 and the present Crawfurd Theatre stands on the site. The villa known as Lymehurst was built at the turn of last century and demolished last year. It had lain unused for several years and was acquired by Jordanhill School recently as part of a proposed expansion. The school has retained a selection of carved stonework and stained glass from the demolition for possible incorporation into a new construction. 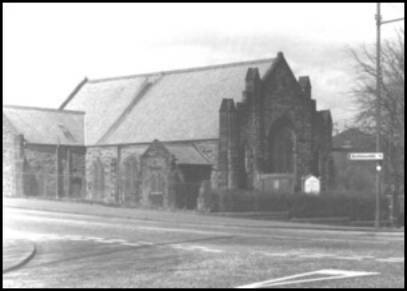 The Methodist Church at the corner of Westland Drive and Danes Drive was demolished in 1981 and the retirement flats known as Angle Gate have been built on the site. 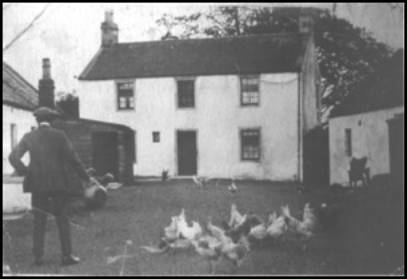 This is Woodend Cottage around 1900 and was the house for the manager of the local brickworks. 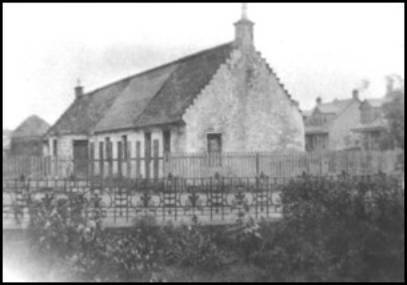 The house was demolished to provide a site for Jordanhill Parish Church which was built in 1904.